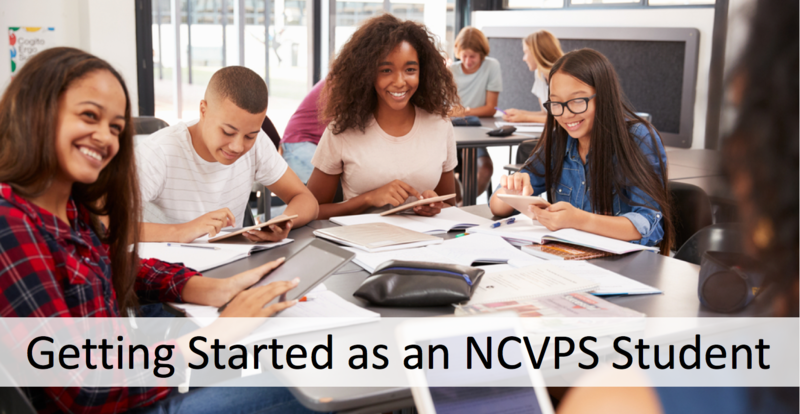 Click through all the tabs below to see how you can prepare for NCVPS classes before they begin. NCVPS does not send usernames and passwords to students. Get your username and password from your e-learning advisor (ELA). Your ELA is usually the person who enrolled you into your NCVPS course. It's often a school advisor. If you're working from a school lab, your lab facilitator may also have your login information. Confirm with your ELA that you are enrolled in the course and not waitlisted. If you are waitlisted, you may get into the course if new sections are opened OR if other students enrolled in the course withdraw from the course. No students will move off the waitlist after the 10th day of a course. Make sure that your computer meets our tech requirements. This is especially important if you are working from home. You will not be successful in your online course without your computer meeting these technical requirements, using the right internet browsers, and having the proper plugins. There’s not usually a cost with any of the basic internet plugin and updates (like Firefox, Adobe PDF, Java, etc.). Make sure you have the textbook and materials for your course. Only our Advanced Placement courses need textbooks, but a few courses need materials, like headphones, microphones, lab materials, etc. Ask your ELA if you need any textbooks or materials for your NCVPS course. Do this before class begins so that you are ready the first day. You can also view what textbooks and materials are needed. BE SURE to have your ELA’s contact information BEFORE you leave for summer or before you start your course off-campus during the school year. Only your ELA can drop you from your course. You may need your ELA for other reasons during the summer as well. Your summer ELA may be different than your ELA during the school year. If you were not given this contact information, contact your principal immediately. Complete the Student Online Orientation. NCVPS courses are in a learning management system (LMS) called "Canvas". Follow this link to the Canvas orientation. Having access to the orientation does not mean that you are enrolled in a course. The orientation is not your course. Check with your ELA to see if you are properly enrolled. Click through the tabs below to see what you should do on the first day of class. Watch our tutorial to see how to log in and what to do on your first day of class. Visit our Printable Guides page to download a copy of our Getting Started Checklist for NCVPS Students guide. This is a handy guide to keep with you. We have a lot of resources to help you throughout your course. Visit our Student Help page to find the right help you need.